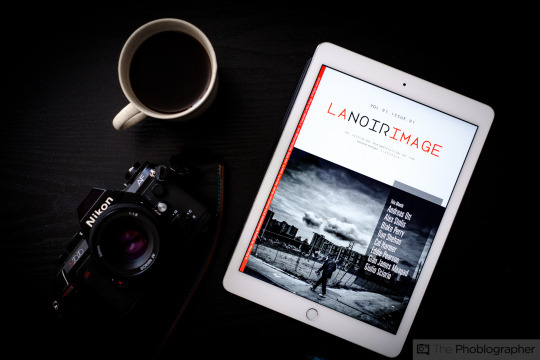 La Noir Image Issue 0: the prototype is now available for download free of charge. Earlier this month, I shared my intention of making this site into a full iPad magazine. With the help of designer Ian Pettigrew and an incredible team, this project is going to move forward to its ambitious next step: a Kickstarter. Do keep in mind that this is only a prototype/proof of concept, and the actual iPad magazine will be a lot more like other e-Mags like the BJP: and therefore embrace the use of the web to incorporate videos. The content will also include essays and tutorials. But in the body of a standard PDF file, this is what we’re capable of doing. I hope you enjoy it, and support us in the upcoming Kickstarter campaign we will launch to make the magazine a bigger and better experience.